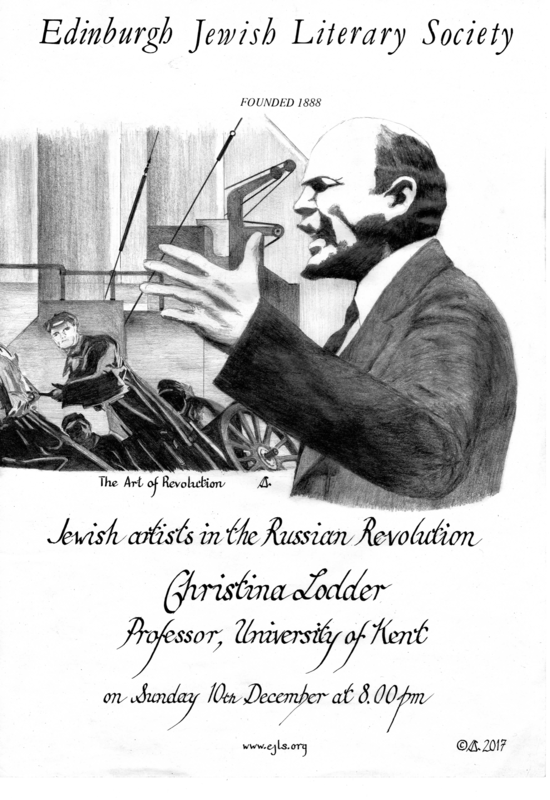 In her illustrated talk on ‘Jewish Artists in the Russian Revolution’, Christina Lodder will be looking at famous figures like Marc Chagall and El Lissitzky, who not only created a revolutionary art but also actively supported the political events that changed the face of their homeland. The talk will focus on the crucial years of 1917-1922 and the city of Vitebsk in Belorussia (now known as Belarus), where both artists were living. In the midst of the uncertainties, hunger and shortages of the Revolution and the Civil War, they produced some of their most compelling images while running an art school, designing propaganda, and decorating the city for the revolutionary festivals. Their activities demonstrate a profound commitment to art, religion and politics. Christina Lodder is Professor in the History and Philosophy of Art at the University of Kent, and is President of the Malevich Society. She is a leading specialist on 20th century Russian art, especially on art and artists before, during and after the Russian Revolution, and is the author of several books and numerous articles. Download the slides for Christina’s presentation here.